VeinSeek Pro is the world's first smartphone vein finder app. 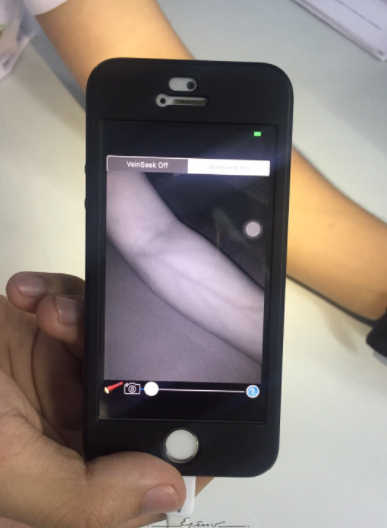 It turns an ordinary smartphone camera into a vein-viewing device without the need for external equipment. VeinSeek Pro is currently available for iPhone and other iOS devices worldwide. VeinSeek Pro's technology is currently also available for Android devices worldwide, but with performance limitations due to the variability in phone and camera specifications for various Android devices. VeinSeek Pro and VeinSeek Android are published by VeinSeek, LLC. 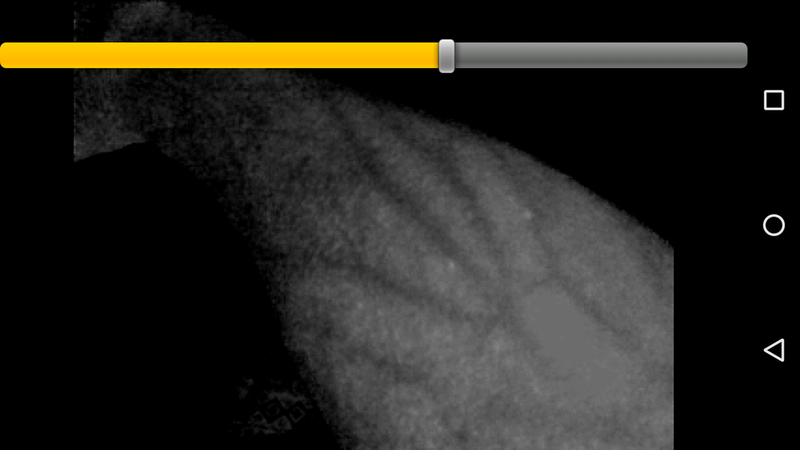 VeinSeek Pro takes advantage of multispectral imaging principles and the intrinsic optical properties of skin to produce enhanced images of veins; it does so by boosting oxyhemoglobin/deoxyhemoglobin absorption contrast and reducing the contribution of superficially-scattered and specularly-reflected light to the overall image. Hey @NursingProbs. 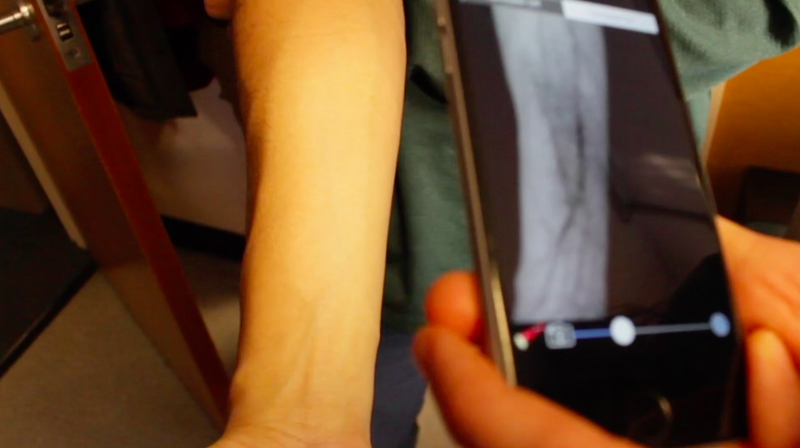 We've created an app to help find veins for tricky IVs... @VeinSeek for your iPhone. Want to share our nursing solution? If you have questions or comments about VeinSeek Pro or VeinSeek Android, we would love to hear from you. Please reach out to VeinSeek LLC via the form below and we will reply shortly.